In an EU context, the Sustainable Development Goal (SDG 4) 'Quality education' focuses on progress made in promoting and increasing basic education, tertiary education and adult education. Do you know how many people in your country have completed tertiary education? 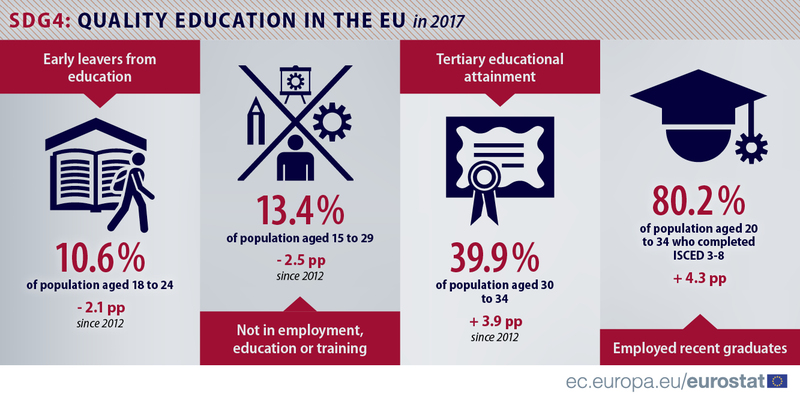 Or what is the share of young people who are neither in employment nor in education and training? How has the percentage of young people who drop out of school early developed in your country since 2002?